I was skeptical about this crazy new VR thing, just like you probably are, and in 2015 was asking myself, who cares about VR? And it’s mostly Nintendo’s fault. The ‘90s was an amazing time for videogames, and virtual reality was this crazy thing we started hearing about all the time starting about 1992. Back then there was no YouTube, just videogame magazines, so we all wondered what playing in “VR” would be like, because all we saw were pictures of weird headsets. SEGA! Then Nintendo’s Virtual Boy headset/console released to minimal fanfare in 1995, and pretty much single-handedly killed what little future ‘90s VR had. It was basically like being trapped in a videogame hell for 15 minutes at a time, unless your favorite colors were tuberculosis red and abyss black. Why 15 minutes? Because the system creates so much strain on your eyes that playing beyond the quarter-hour mark results in a pounding headache. Mario Clash on Virtual Boy. Bring on the migraines! Not Nintendo’s finest hour. Most people tried it once at Best Buy and that was that. In 2016, I still hear the naysayers: “Who Cares About VR?” But Today We Have a Different Answer. 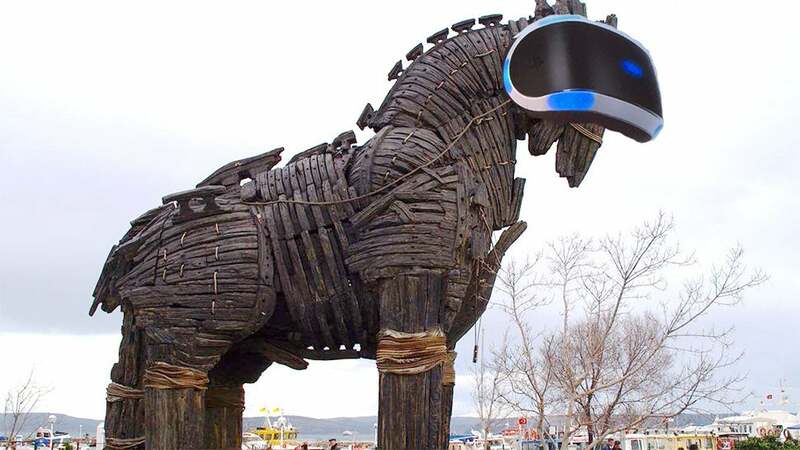 So hearing all this hubbabub about VR didn’t ring any bells for me, even in an industry where we always want to present the Next Big Thing in videogames and event technology. I’ve also never been an early adopter of technology. It always has bugs and it’s way too expensive. (It’s usually best not to buy a new videogame system for at least a year, and this is true more than ever today.) 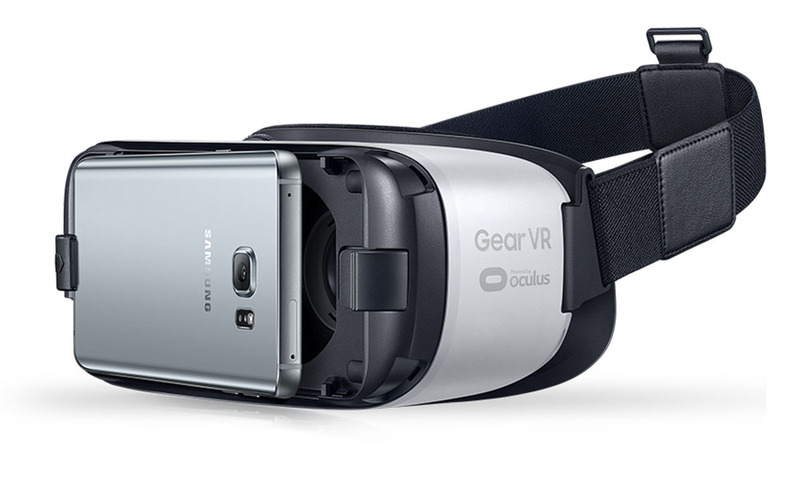 That all changed when one of my tech friends said I absolutely had to try his new Samsung Gear VR headset. It’s a pretty smart idea — Samsung’s flagship smartphones are powerful little computers, so you can buy a low-cost headset and boom: virtual reality! This clip from Sam and Max from 1993 is pretty much what we expected. Oculus and Vive are thankfully realizing what we dreamed VR could be. We took turns trying a new Cirque de Solei video where you’re on center stage with the performers — they’re all looking at you and you get to watch the trapeze guys lowering from the ceiling and doing their thing. [youtube]https://www.youtube.com/watch?v=XM7pV-2qhCM[/youtube] Have you ever tried to explain what it felt like to be somewhere, like a concert, for instance? It’s really tough to describe the emotion and visceral feeling of experiencing something. VR is exactly that. It feels like you’re really there, because you can look left, right, up, down, and there’s more of the world you’re in! It absolutely blows people away the first you can try it. I’ve seen it over and over. I take my Gear VR everywhere with me now. I love producing our one-of-a-kind videogaming special events, but it’s like, OK, we know why people love videogames. Now try THIS! I just liked this picture. 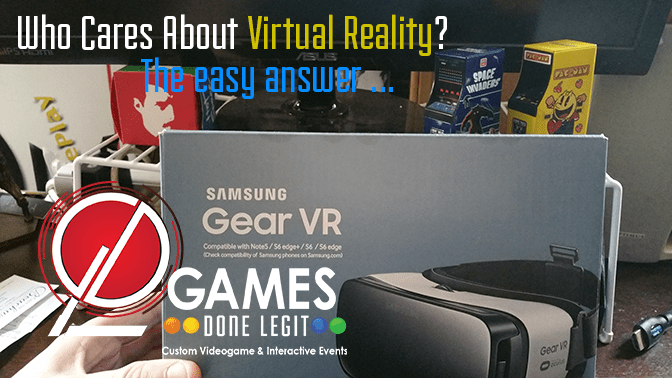 So the question of this post: who cares about VR? The answer is everyone. Yes, it’s going to make playing videogames incredible. Game players a generation older than me tell me it’s like the first time they saw Pong or Space Invaders: a magic, entrancing, what is this! Moment. But it has immeasurable value for medicine, engineers, sports viewers, and kids. 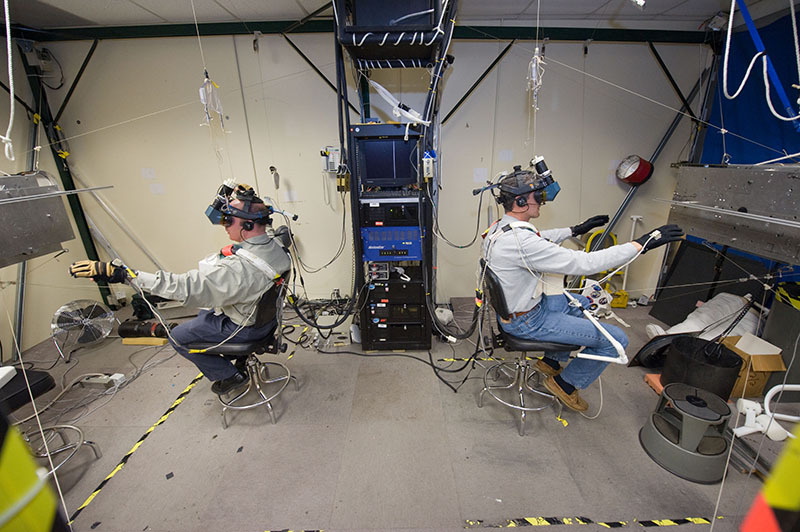 NASA VR Have you ever wanted to watch football without a camera basically only showing you the quarterback and the ball? What if just like being at the stadium you can look at the whole field? That’s what VR can do, except it feels like you’re right there instead of $50 nosebleed seats. Star Trek lounge or Cleveland International Film Festival’s “Perspectives” movie zone? [/caption] They’re already using VR for students in labs so they can experiment without exploding chemicals in a real lab. [embed]https://www.ted.com/talks/meron_gribetz_a_glimpse_of_the_future_through_an_augmented_reality_headset?language=en[/embed] Woofbert is a VR company capturing museums around the world so you can take a virtual tour. For anyone having flashbacks to those grainy mid-’90s CD-ROM Encarta tours, fear not. You can move around the room and see these paintings in equisite, zoomed-in detail. It’s amazing. [youtube]https://www.youtube.com/watch?v=11cS9hTirng[/youtube] World War II history came alive in the ‘90s and ‘00s with a bevy of shooters and flight sims. I learned so much more about what my grandpa went through through playing these videogames than from reading textbooks. Now imagine the perspective you’d get from storming the beach with your classmates in VR, being able to look and hear in every direction.